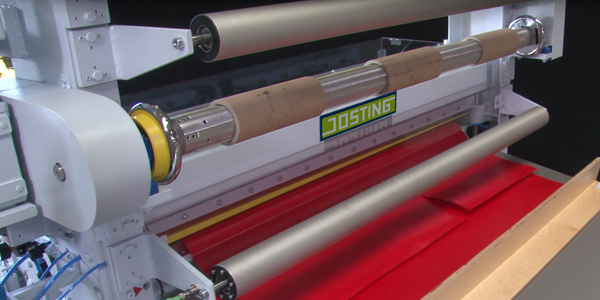 The Cross- and Longitudinal Foil Cutter RollCut-Master RF makes your foil cutting flexible! Cross- and Longitudinal Foil Cutter RollCut-Master RF allows cutting across the running direction with top and bottom knife. Longitudinal cutting by pneumatic roller cutters on a glasshard drum. Roll suspension frame to carry rolls of max. 650 mm outer diameter and 500 kg weight, equipped with an pneumatic winding shaft for 76 mm * inner diameter, 2 tilting bearings, and a pneumatic brake. 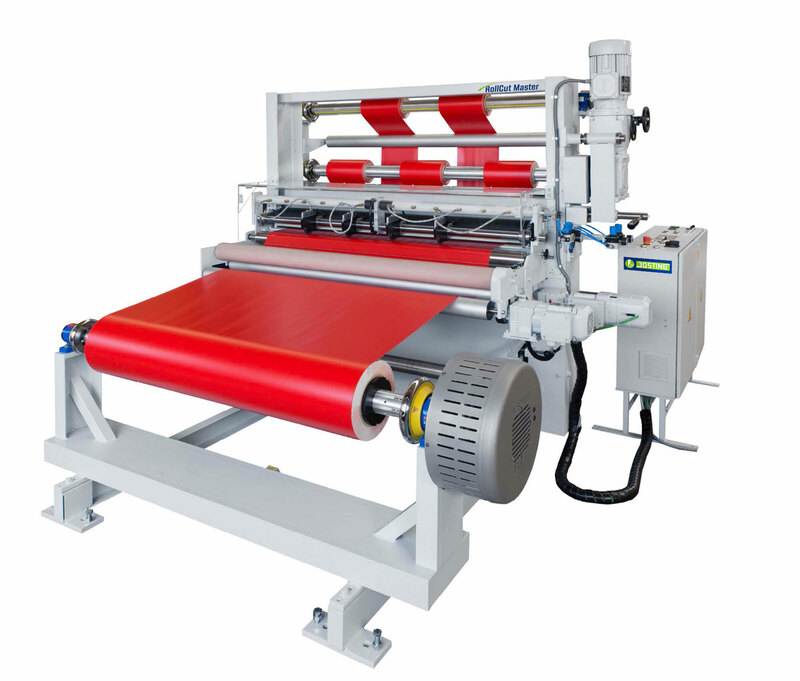 Optimum cutting performance for creating sheets thanks to continuously adjustable speed of feed up to 52 m/min, high cut-to-length accuracy thanks to frequency controlled drive for the feed with adjustable acceleration and deceleration, reselection of lengths and number of pieces at electronic counters. Collecting table for max. length of cut up to 2.000 mm*, adjustable in height and angle. Ionizing bars of the cross- and Longitudinal Foil Cutter RollCut-Master RF for the prevention of electrostatic charging. Rewinding unit with 2 pneumatic clamping shafts for 76 mm* inner diameter and max. 350 mm outer diameter, driven by a rotary current motor with constant speed, control of the web tension by means of the brake at the roll suspension frame and final switch off by length counter with preset. * Other dimensions available upon request. 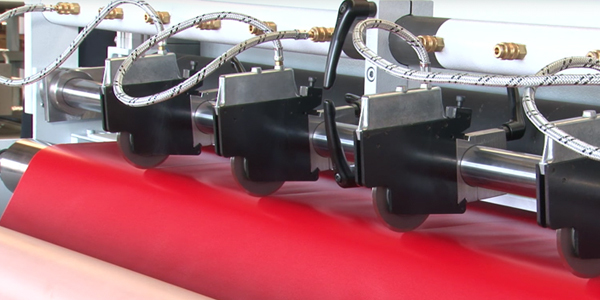 Longitudinal cutting by pneumatic roller cutters. 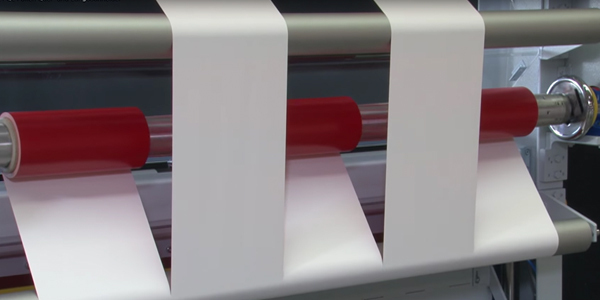 Optimum cutting performance for creating sheets. Cross and longitudinal cutting simultaneously with rewinding. 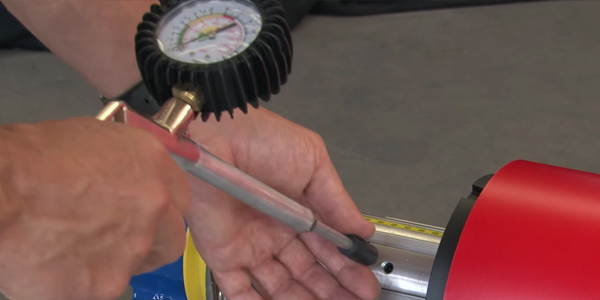 Adjustment of the pneumatic roller cutters.